We didn’t see it coming, Tropical Storm Lee or the threat of losing our beloved summer getaways. After 2011’s Tropical Storm Lee, many across the mid-state, banded together to clean up, repair, and restore their community and way of life, after the flooding. On the Islands of Lake Frederick, it was no different. While these trailers and cottages may not look like the lakefront properties you imagine, for many they represent decades of coming together and enjoying time with family and friends on the water. It’s a lifestyle of neighbors helping neighbors, sunshine, and campfires, some of us have known since birth. Many islanders have been enjoying this way of life for generations. Now our way of life is being threatened and our time on the island could be forced to an end by matters related to Federal, local, and state entities are coming down on us. We islanders or River Rats, as we refer to ourselves, are not ready to give up. Our hearts and money are already invested, we can’t imagine a summer without our beloved islands in it. The River Rats also support local business, donate to the local community, and help keep the Susquehanna clean and safe. As of now, we have not been given a say in the matter or time to research our rights and develop proper representation. In response we have formed the Lake Frederick Home Owners Association. We need your help to fund our mission to save the Lake Frederick islands and the River Rat way of life! For anyone not familiar, we are a group of property owners and lot licensees on Islands of the Susquehannah River, in Central, PA. These cabins are more than just a summer get away. They represent family, friendship, and community in all the best ways possible. We need and greatly appreciate your donations. 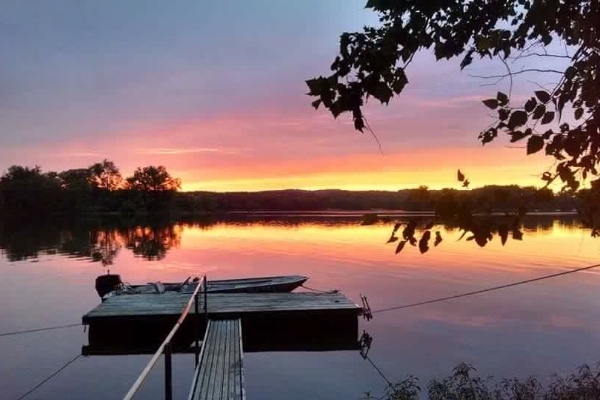 All money raised in this campaign goes directly into the account set up for the Lake Frederick Home Owners Association to help pay for legal representation in the cause, over the emergency issue, of saving the 300 summer weekend homes on Shelly and Beshore Islands. Thank you to all of the islanders and their family and friends for your continued support. The LFHOA is making great progress toward saving our beloved summer homes and we look forward to a sunny future! Looking ahead we are excited about our continued partnership with Cube Hydro, our Christmas in July float and Toys for Tots Drive, a family fun Super hero and Princess Party, the Beshore Chicken BBQ, the Poker Run, and many more sunny days swimming, boating, and eating ice cream on the islands! It's the season of love ❤️ & we know you LOVE island life on Lake Frederick! 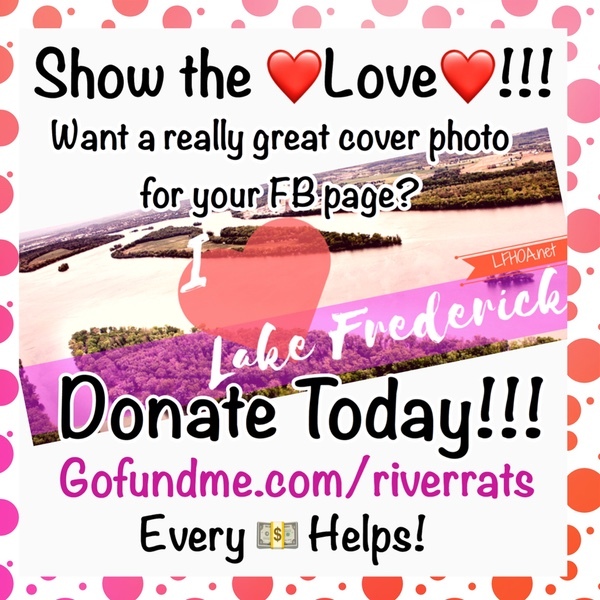 Throughout the month of February anyone who donates to our go fund me page, to help raise money to Save the Islands, will be sent a link to a special I ❤ Lake Frederick cover photo. Use this photo on your Facebook to show your love for Lake Frederick & support for the LFHOA as they seek a happy ending to this chapter of life on the river. Thank you in advance for your love, generosity, & support as we're all in it to win it! 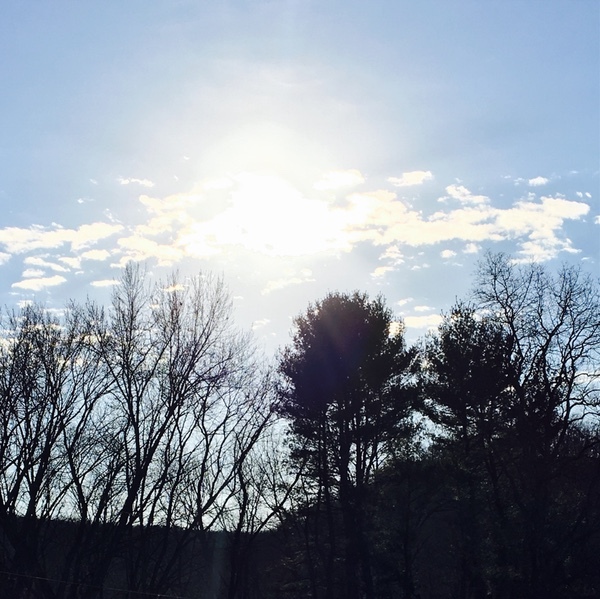 The warm sunshine yesterday was a great reminder that brighter days are ahead. We are all in this together, seeking resolve to Save the place that shaped so much of who we are. To us, island life is about so much more than fun. It's a family who's heart is the river. A huge thank you going out to all who donated in honor of and in loving memory of their dearest river rats. Together we will continue the legacy! Now that we are officially in the off-season, I can't help but think WOW! Talk about taken down but not defeated! We Rats rise to the occasion and grow & shine! We are closer now than ever, fighting as a family, for what we love and believe in. 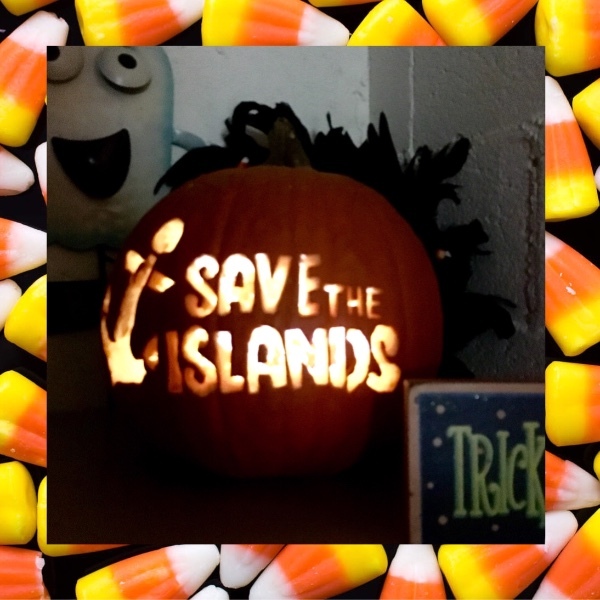 We don't want to lose momentum, so to make things fun we are sending out a special Save the Islands Pumpkin Stencil Pack to anyone who donates to this Go Fund Me in the month of October. Let's do $2,000 this month! Let's go, folks! Keep it up! Doing a great job for a worthy cause!!! This is awesome and inspiring. Thank you to everyone for your donation and support of the Lake Frederick River Rats! My love for this River Rat community grows stronger every day. So proud to be part of it and more proud of everything we have accomplished so far! Keep thinking "River Rat Strong"!!! Don't give up, stay strong. This is my first of many more donations to help you win! Thank you to everyone volunteering their time to win this! Great work and a big thank you to the board! Donation made for the kindness of Robb Brezzo.